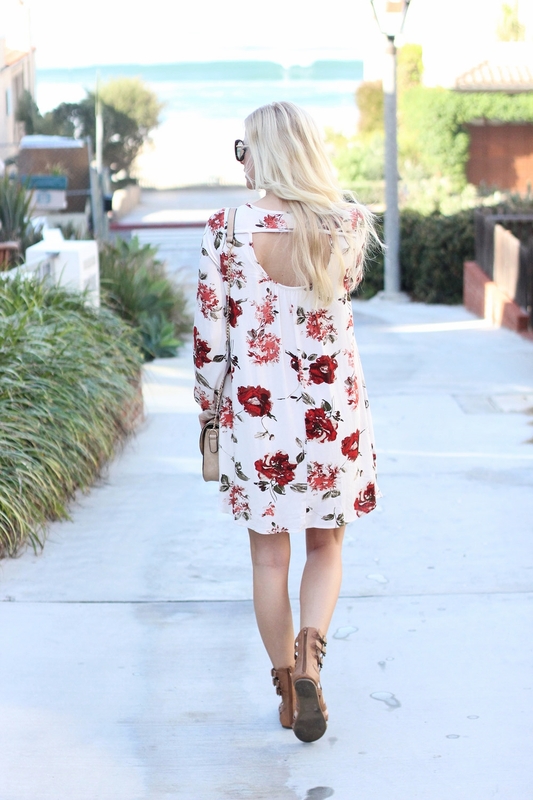 Between Easter, bridal showers, and all the other events that take place in the spring, I’ve been keeping my eyes out for pretty floral-y dresses. 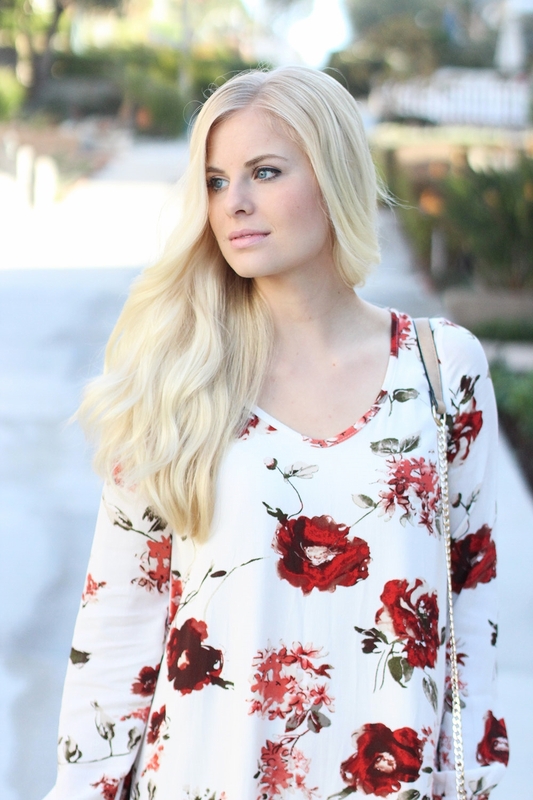 This warmer weather has me looking to brighten up my wardrobe with girly florals. I found this dress atThe Mint Julep Boutique and I love the bright pattern. They have so many cute dresses for spring. Unfortunately, this one just sold out :( So sad. But if you like the style and pattern, they have the same dress in another color and lots of other cute spring patterns that I’ll link below. For these transitional months, I love long sleeve or short sleeve dresses that have fun, spring patterns. I know there will be a lot of events that I'll need good dresses for in the coming months! I paired this look with simple gladiator sandals, a beige cross body, and sassy sunnies from Shop Suey Boutique. Also, I just went to a wedding this past weekend which was so fun! I have a handful of other weddings between May and July, so I need to start building up my spring/summer dress wardrobe. I think I’ll do a post soon on pretty dresses to wear to weddings because I know we’re all about to get hit hard with wedding season!